Unable to Install Voyant - Do you have the administrative rights needed to install programs on your computer? – Have a question? Unable to Install Voyant - Do you have the administrative rights needed to install programs on your computer? 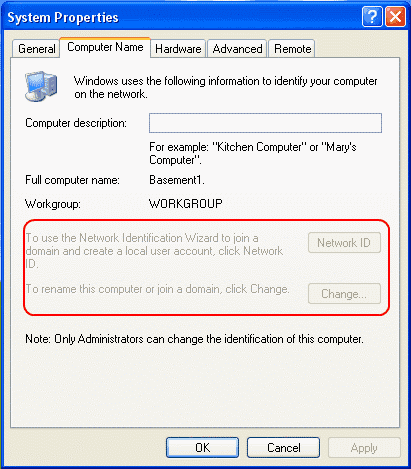 Having administrator rights on a computer is often required when making configuration changes in Windows or even more importantly, to install software. Therefore it’s important to check to see if you have administrator rights before doing any work on a computer. Being able to check user rights can be very important when trying to help customers with their software. Most users will assure you that they have complete admin rights to their computer although, in fact, they often they don't. Fortunately, there is a way you can check to see if the current logged in user has admin rights. 2. Select the Computer Name tab. 3. Choose Properties (System Properties). 4. Select Advanced system settings. 5. Select the Computer Name tab. If the Change… button is grayed out, the user is not logged in with administrator rights. 2. Open the Control Panel. 4. The user accounts on the computer will be listed on the screen. Each name should have the permission level. 3. 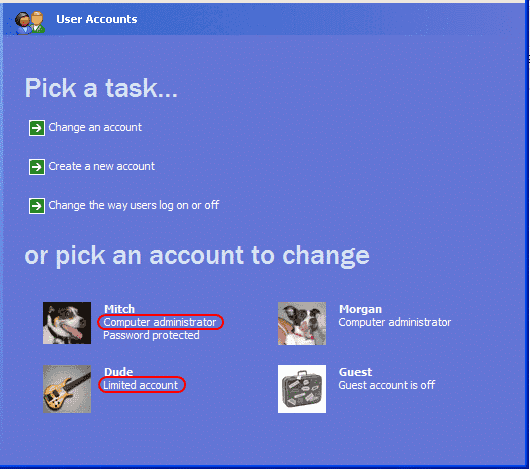 In the User Accounts and Family Safety area, select Add or remove user accounts. 4. A list of user accounts will be displayed on the screen. Each will have a name and the permission level of the user.